When an heiress moves to a villa on Italy’s Lake Nemi, a houseguest plots to take it—and more—in this novel by a prizewinning master of dark comedy. When American heiress Maggie Radcliffe relocates to enchanting Lake Nemi, just south of Rome, she is determined to live in tune with ancient pagan rhythms of art and nature. At her new home—one of three that she owns—she is constantly surrounded by a cast of quirky characters, and her latest guest is old friend Hubert Mallindaine, an unrepentant grifter who claims to be a direct descendant of the goddess Diana, whose spirit is said to rest at Nemi. As soon as Mallindaine arrives, Radcliffe’s vast material wealth begins to slip quietly out the door. Desperate to regain it, Radcliffe attempts to evict Mallindaine from her home, but a host of new problems threaten to destroy all that she has. 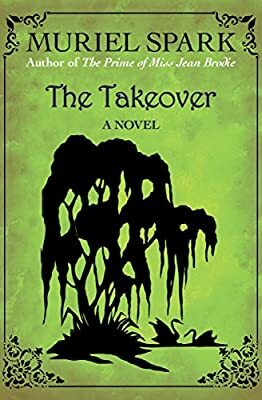 From the PEN Award–winning author of The Prime of Miss Jean Brodie, The Driver’s Seat, and other modern classics, The Takeover is a suspenseful, acidic comedy about the clash between the conventions of old wealth and the inevitable tide of modernity. It is a testament to the mind and work of “the most sharply original fictional imagination of our time” (Sunday Times).